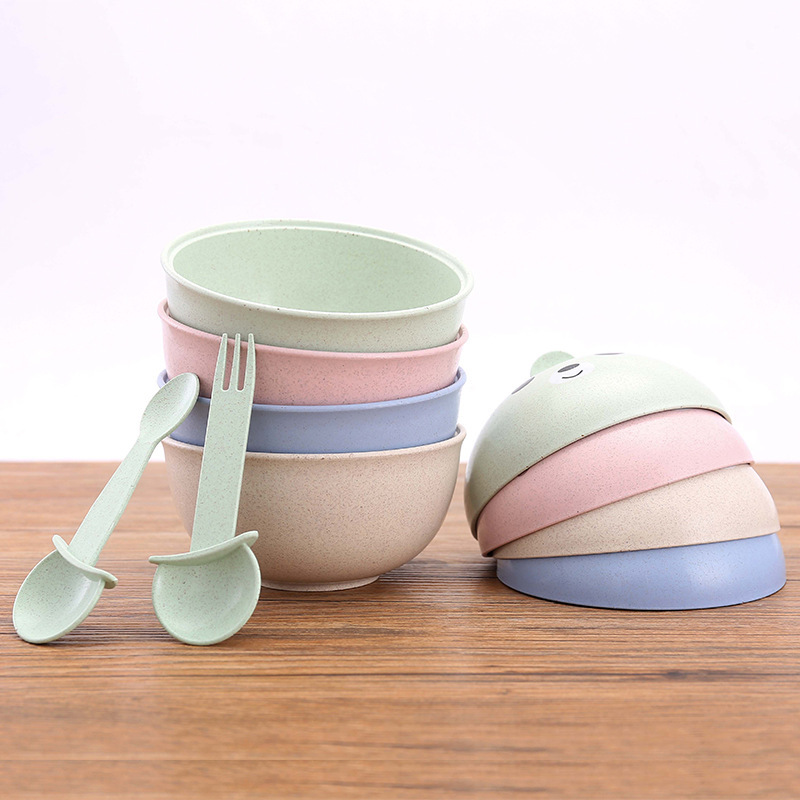 ​100% Wheat fiber food grade material, it can be food tray or fruit bowl. 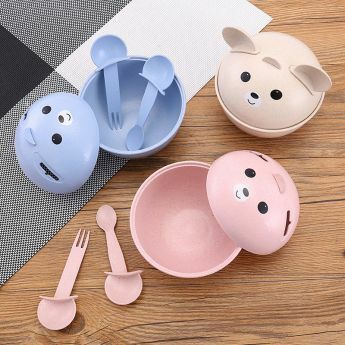 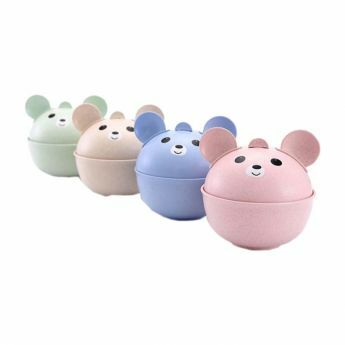 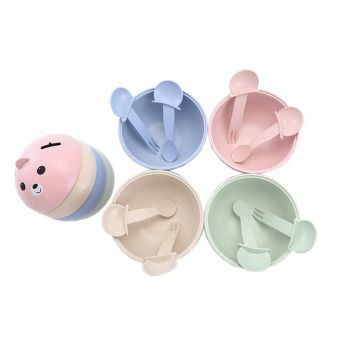 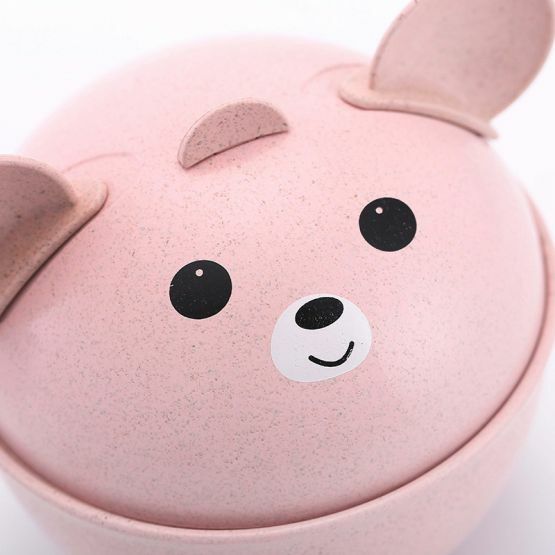 Cute cartoon bear shape design, let the kids love to eat. 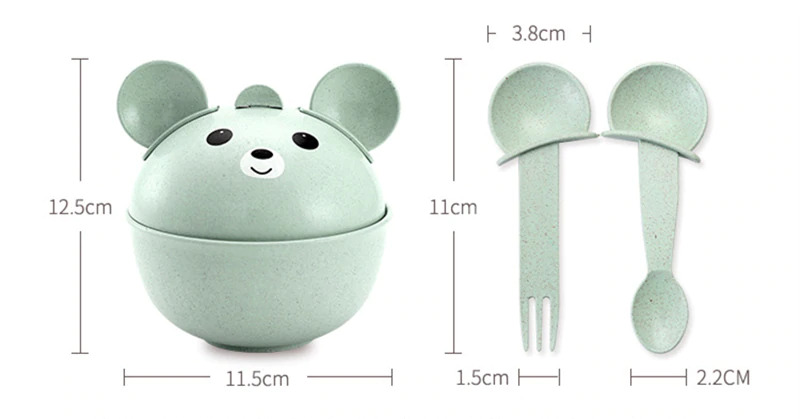 Bear ears are a spoon and a fork. Package: 1*Bowl 1*Spoon 1*Fork 1*Lid (4pcs/set) opp bag packing.